Lorde’s 2013 debut album Pure Heroine was one of my favorite albums when it was released. 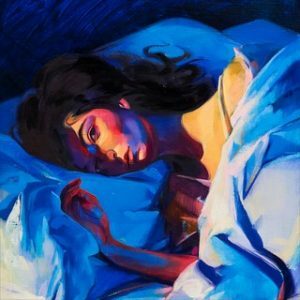 Now, four years later Melodrama is finally out and I can’t help but feel disappointed. The singles Greenlight and Liability stayed the standouts of the album and overall, Melodrama felt bloated even though the album was only 10 tracks long. Lorde’s album lacks the emotion it apparently stands for and while it’s being hailed as “masterful study of being a young woman” (Pitchfork) the album feels like it was engineered specifically to cash in on this idea. While Lorde sings about the ever-relatable topics of feeling lonely at parties and heartbreak, it still leaves the listener feeling hollow. Melodrama isn’t a failure as an album though, it’s still effortless and fun synth pop. But, it lacks the honesty that Lorde’s previous albums once had.